Just as the onslaught of new fall shows were filling up our TiVo, the storage specialists at Western Digital have launched the first TiVo-certified external hard drive. Coinciding with the release of some TiVo Series 3 and TiVo HD software upgrades, the Western Digital 500GB My DVR Expander Hard Drive ($200) lets you record up to 65 extra hours of HD or 600 extra hours of standard definition shows. So now you don't have to think twice about adding that Season Pass of Pushing Daises. 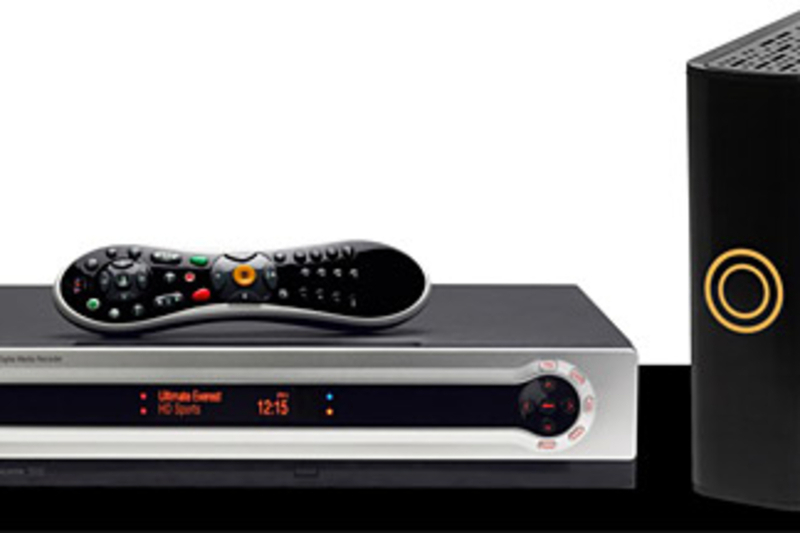 Constantly searching for a way to get downloaded video onto your TV, but not a fan of set-top boxes? SanDisk might have an answer in the Sansa TakeTV ($100). 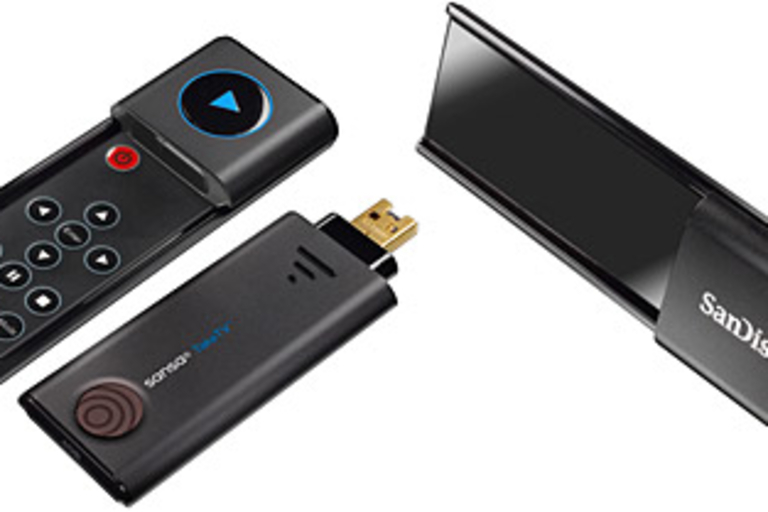 With 4GB or 8GB of storage (8GB - $150), this accessory works like a USB flash drive, allowing you to simply drag over downloaded content in MPEG-4, DivX, or xVid formats, and then docking with a TV cradle to display it on your TV. A cheap, quick, and easy way to bridge the gap between your computer and living room. 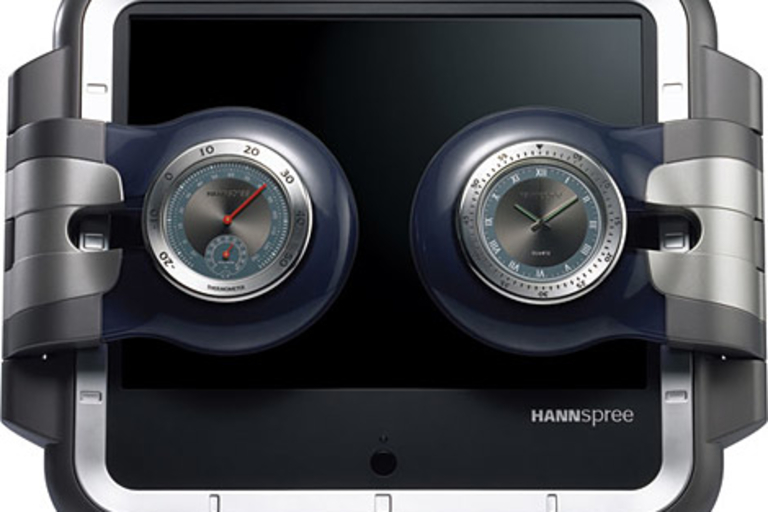 Looking more like a huge Timex Ironman watch than a television, the Hannspree Time Square 12-inch LCD TV ($130) sports a working clock, thermometer and hygrometer. The dials swing open to reveal the two speakers. The Time Square also offers 4-in-one A/V connection (Composite, S-Video, Audio Input, Headphone Jack) and a matching remote control. All of you out there who've been waiting for a low-priced, HD-capable Tivo box, you're day is here. 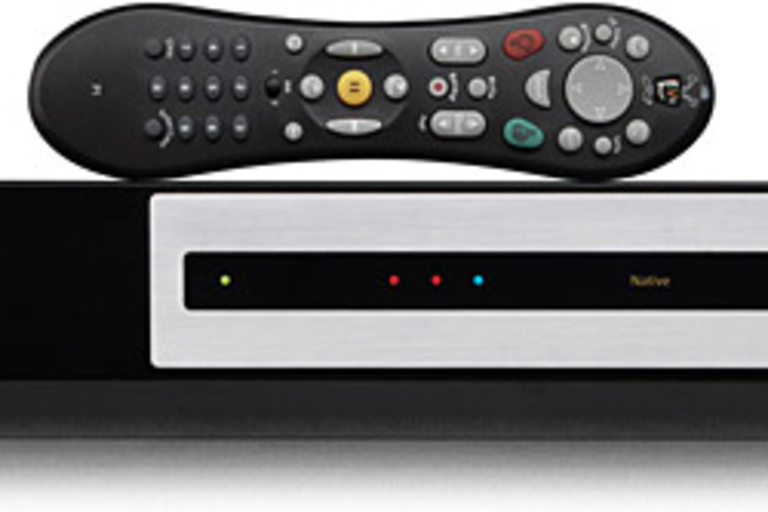 The TiVo HD ($300) features two CableCard slots, storage for up to 180 hours of SD programming, or 20 of HD, outputs in 480p, 720p, or 1080i, over HDMI or component. It has an ethernet connection, two USB 2.0 ports, and an E-SATA port for future storage expansion. Apple TV. TiVo. HDTV. A great combination of all three is what we've been searching for, and the Alienware Hangar18 ($2000) might just have it. Windows Vista Home Premium, Up to four TV tuners, AMD Athlon 64 X2 Dual core processors, and integrated Nvidia graphics supply the HDMI out port with plenty of HD goodness, while 5.1 channel audio makes sure the experience is complete. 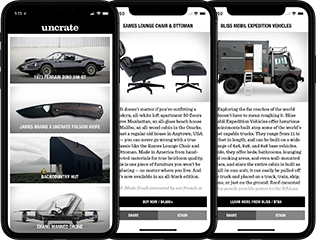 Add in a standard Gyration remote that eliminates the need for a mouse, and you've got one hell of a package. 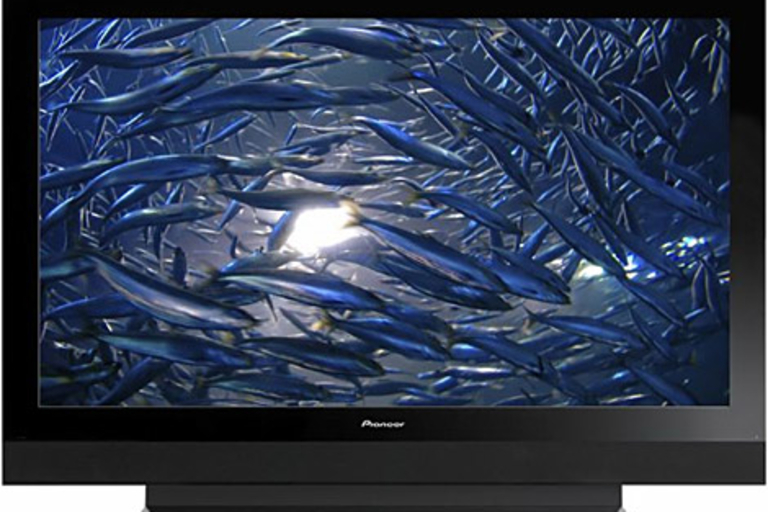 While flat-panel HDTVs are becoming more and more popular, DLP remains a great option for folks who need more screen size for less money. 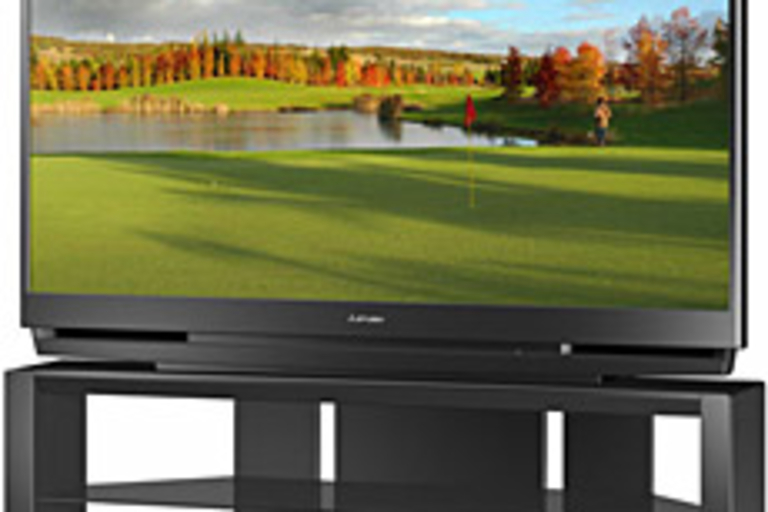 The 57-inch Mitsubishi WD-57734 Thin-Frame DLP HDTV ($2800) packs a lot of value into its sleek frame. 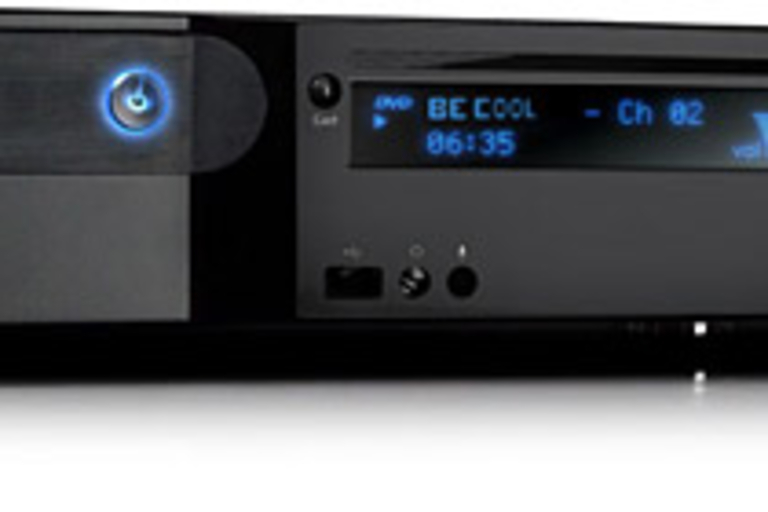 Features include a 6-Color Light Engine, x.v.Color, Easy Connect, four HDMI 1.3 inputs, SharpEdge for more well-defined, crisp object edges, and Net-Command for on-screen home theater control.